Stories from the Vault of the International Cricket Hall of Fame | The International Cricket Hall of Fame. Who doesn’t love a good story? Ultimately the International Cricket Hall of Fame is all about stories: stories of courage; stories of sportsmanship and sometimes stories just about great moments in time. Our Curator David Wells is a Master Storyteller and what he doesn’t know about items in our collection just isn’t worth knowing. Each item has a fascinating story, of how it came to be in the collection; of why it is important and ultimately of how it reflects the values of cricket. On the face of it, this seems an ordinary enough item – a Vest. But it’s no ordinary vest; it’s a vest that formerly belonged to Sachin Tendulkar a current leading world batsman. In the third Test of the England v India Series in England in 2002 Tendulkar made his 30th Test Century, one more than Bradman’s 29th. Again an ordinary enough garment, there are many One Day International shirts right? 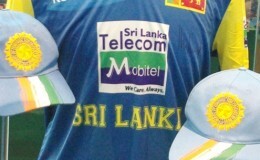 But this shirt may prove to be the shirt that Murali wore during what many believe is to be his final season. “He’s special, he’s the leading wicket taker of all time and we didn’t have anything relating to him. We managed to approach his Manager Kushil Gunasekera and he organised the donation on our behalf.” Said David. Check out his Bowling Stats here. Another shirt with a great story. 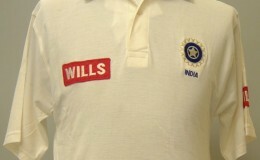 Surav Ganguly wore this Test Shirt during the 2001 Test series when he was the Captain of the Indian team facing the Aussies who were enjoying the longest ever winning streak. The shirt helped Ganguly’s team end Steve Waugh’s record 16 match winning streak! “People forget that we are a charity and we rely on people’s generosity. We are indebted to Indian fans for their generosity and their acknowledgement of the importance of having these items with the Bradman Collection.” Commented David. These items are part of the permanent collection on display at the International Cricket Hall of Fame and don’t forget during the Australian season we screen matches live in the theatre. To buy tickets visit the website. ← Bradman Oval part of World Record!